No time to cook? Empty fridge? Last-minute guests? These DIY freezer meals will save you every single time. Frozen meals are an easy way to control portions, save time and typically yield very little waste. These meals often cost less than ordering takeout, and are more convenient, too. But, if you’re still craving the restaurant taste with convenience of making it at home, don’t worry—we have options for you. 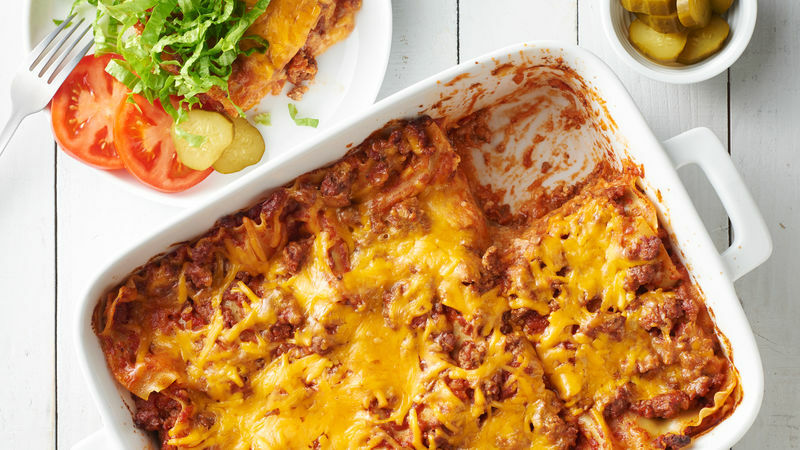 Try this Make-Ahead Cheeseburger Lasagna, or Chicken-Alfredo Baked Penne. Once your dish is made, the U.S. Department of Agriculture recommends freezing food as fast as possible to maintain its quality. Rapid freezing prevents undesirable large ice crystals from forming in your dish. Ideally, a dish two-inches thick should freeze completely in about two hours. If your home freezer has a “quick-freeze” shelf, use it. Never stack packages to be frozen. Instead, spread them out in one layer on various shelves, stacking them only after they are frozen solid.